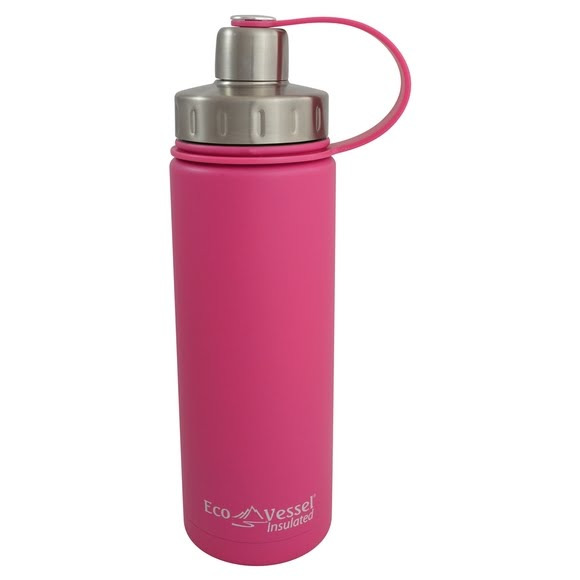 The Eco Vessel Boulder is their flagship bottle that enjoys wide popularity, especially with its updated slimmer body and sleek profile. You can fill this bottle with both cold and hot drinks and take it anywhere, since its secure top will keep your drink inside where it belongs. The Eco Vessel Boulder is their flagship bottle that enjoys wide popularity, especially with its updated slimmer body and sleek profile. You can fill this bottle with both cold and hot drinks and take it anywhere, since its secure top will keep your drink inside where it belongs. So, toss in a tote bag or backpack and hit the trails, golf course, run errands around town or keep on your desk for convenient hydration through the day.